I wrote this blog on the third day of summer and three days have since passed. On the first day of summer, I tweeted that coincidentally I was also attending the first of three scheduled Christmas Parties for the festive season and promptly lost three followers! Not that I count, but seriously? After the Christmas party, I strolled with a colleague along the Wellington waterfront – being a lovely evening – and the whole place was going off, crowded with joggers and office workers walking home. On the water there were several dragon boat crews and the whole scene was so familiar to me that it got me thinking as to how some things keep on keeping on to become their own traditions, like the Wellington waterfront 5K series has become as enduring as the dragon boats – and more than just a passing fad. Wellington’s waterfront. Perfect setting for a race. Two days later on the third day of Christmas – sorry, summer – the Wellington Provincial 10,000m Championships were held, on the same weekend as the New Zealand Secondary Schools track and field Championships (which insofar as the 10,000m goes seems extremely early in the season). For me, those waterfront activities along with having just finished reading The Greatest the autobiography of Ethiopian Haile Gebreslassie, arguably the greatest 10,000m runner the world has ever known, further fueled my reminiscing to inspire this blog. In terms of my own vastly modest competitive racing career, I like to think I wasn’t just a good steeplechaser and that I also raced reasonably well over both the 5000m and 10,000m distances too, winning the Wellington 10,000m title on one occasion. The Wellington 10,000m championship was never contested at the Provincial Championships proper, instead it was held on its own earlier with the date and month moving around a bit. 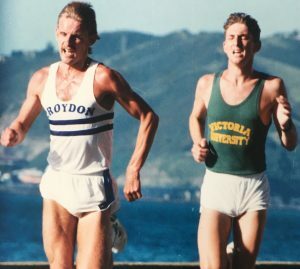 One thing I always had an acute awareness of was that over time the Wellington 10,000 track title had been won by a lot of New Zealand’s international runners including my coach Gavin Thorley, and also by his great rival Bryan Rose, then Steve Denholm, all three of them going on to win the national title at some point. Then came the likes of Dan O’Connell followed by other accomplished runners including Graham Mackie, Olympian Derek Froude, Dallas McCullum, Steve Hunt, more Olympians in John Henwoood and Jonathan Wyatt, who in turn were followed by others more recently. As a roll of honor, those athletes read better than the roll of honor for Wellington’s Mayors who I used to walk past down a corridor at the Wellington Club on The Terrace. In a club like that, those runners would have been acknowledged as Wellington’s Distance Running Gods. Back in the day, I wanted to win the Wellington 10,000m and to add my name to Wellington’s Distance Gods. Back then, the 10,000m champs were held later in the new year. I started my quest for the Wellington 10,000m track title by racing a series of mid-week races on Wellington’s waterfront. A year before I’d gone off to Europe for four months to improve my racing career. Back then if you wanted a beer you had two choices: Lion or Dominion. When I got back from Europe that first time, the Wellington Waterfront 5k series was called the Joseph Kutze 5K Series, to which I asked, “Who the hell is he?” Turns out Joe was a brewer, and to my amazement you could now buy three brands of beer! Just like that. The thing about the 80’s was it was a time when there was a huge uplift in entrepreneurial nous, and that extended to introducing mid-week road racing. The Kutze Lite waterfront 5K series as it was known was something quite different. For starters it was raced after the working day on Wellington’s waterfront, sometime around 6pm in the summer, attracting some of the most competitive athletes of the day. When the starter pressed his finger down on some sort of aerosol hooter, a deafening blast boomed out and we all took off in a mad rush from Sir Frank Kitts Park. The thing about the waterfront race was as we charged off, we came up very fast on people strolling home, including kids on scooters and mums strolling their prams along Oriental Bay’s boardwalk, which over summer was usually crowded. Being in the front group required a quick head, reactions and a bloody good sidestep as we came fast at the unsuspecting pedestrians from behind. As we stormed through the throngs, we scattered them giving those behind us a cleaner passage through. Racing out to the turn-around, we then had to come back through everybody, this time face to face, yet no better for figuring out how they’d react. Human’s when confronted with a wall of runners act unpredictably. On one occasion I recall one guy lunging himself at me, swinging his briefcase wildly in an attempt to skittle me. I silently laughed, thinking, yeah, right mate, like you can catch me if you can. We were all fast back then, and due to that, a bit brash. This is the only photo I have of me competing in the Joseph Kutze 5K Series on Wellington’s waterfront. I’m racing in a Croydon vest. With me is Gavin Teahan, a very promising up and coming steeplechaser, who by the looks of it in his photo is pushing me very hard. I recall winning this battle in a time of around 13:55, the fastest I ever recorded on the waterfront course – probably why I remember it (and maybe aided with a good tail wind home too!). There were two problems with the Joseph Kutze 5K series. First was there wasn’t a coordinated overall calendar for the athletic season. The second was the format for the series was there was an overall series winner based on performances across multiple races. That didn’t work so well for me. I recall having a nice lead going into the finale one year but surrendering it because I needed to focus on important track races I wanted to nail, whether it was a Grand Prix Series race, the Robin Tait Memorial meet or maybe the provincials. So while I won my share of races I never won the overall series as my real focus was elsewhere. That was due to not having a synchronized athletics calendar. The next time I lined up for the Wellington 10,000m title, I was ready. Well, sort of. Sure, I had some good performances from the Kutze 5K series races under my belt, (a 4th in 14:05 and a win in 13:55) but then again as I remember it, the 10,000m champs were held on a Friday night, at the end of the working week. When I arrived at Newtown Stadium after work, all I wanted to do was curl up and go to sleep. It was a sunny evening but also windy, which was par for the course at Newtown. There was always this long standing view that the wind dropped at 6pm, so that’s why they scheduled races for that time. I wish the wind had dropped. Instead all that dropped at 6pm at Newtown was the temperature as the sun slipped down behind the pines. Typical of me, right from the gun, I was impatient. What I recall about the race was it started off sedately and after the first mile, I thought, really? Then thought, ah, sod this. If I lose, then whoever it is will have to a run a decent time under 30-minutes to do it. So having got approval from me, I cleared out to pretty much solo my only Wellington 10,000m title win. I was immensely pleased because doing all the work with no let up over 21 laps is a mentally tough gig and I came through it well. An interesting aspect about the race was it featured the Wellington Cross Country Champ as well as some really good national class runners who I thought would be a lot closer than my eventual 200m winning margin. That they weren’t, I put down to racing mid-week, something I did when I spent time competing in Europe, but which local athletes back home at that time rarely did – not even with the introduction of the Kutze series on the waterfront. I think there is a moral in there. Even today, there is no mid-week track meet for Wellington athletes. A guy I knew from my time in the UK once made a great comment that stuck with me. The context for his statement was in the racing phase of the track season. He said, “Bruce, if you’re a steeplechaser you race steeplechases. If you’re a track athlete and your training is so you can race to win, then bloody race.” So that’s what I did and was comfortable racing twice a week. From all accounts, last weekend’s Wellington Provincial 10,000m Champs had a big field, the biggest seen for many years and that’s heartening. Congratulations to all the medalists and the Wellington Champion. 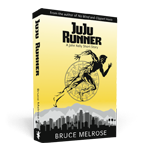 You join some really outstanding runners (including Thorley, Rose, Froude, Henwood, Wyatt) all of them renown as Wellington’s Distance Running Gods.